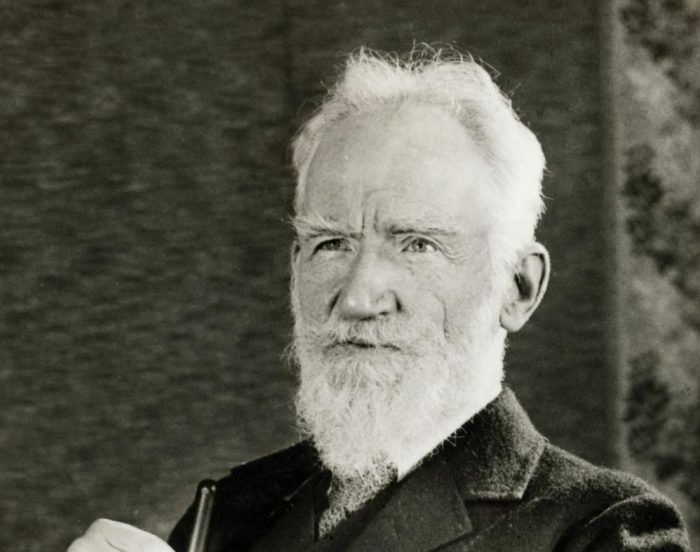 George Bernard Shaw was born today, July 26, in 1856. He was an Irish playwright, critic, polemicist, and political activist. His influence on Western theatre, culture and politics extended from the 1880s to his death and beyond. Though not known to be a member of the LGBT community himself, he was an early ally, writing in support of LGBT rights in 1889. Shaw wrote more than 60 plays, including major works such as Man and Superman (1902), Pygmalion (1912) and Saint Joan (1923). With a range incorporating both contemporary satire and historical allegory, Shaw became the leading dramatist of his generation, and in 1925 was awarded the Nobel Prize in Literature. Born in Dublin, Shaw moved to London in 1876, where he struggled to establish himself as a writer and novelist, and embarked on a rigorous process of self-education. By the mid-1880s he had become a respected theatre and music critic. Shaw had been writing plays for years before his first public success, Arms and the Man in 1894. Influenced by Henrik Ibsen, he sought to introduce a new realism into English-language drama, using his plays as vehicles to disseminate his political, social and religious ideas. By the early 20th century his reputation as a dramatist was secured with a series of critical and popular successes that included Major Barbara, The Doctor's Dilemma and Caesar and Cleopatra. Shaw's expressed views were often contentious. He courted unpopularity by denouncing both sides in the First World War as equally culpable, and although not a republican, castigated British policy on Ireland in the postwar period. These stances had no lasting effect on his standing or productivity as a dramatist; the inter-war years saw a series of often ambitious plays, which achieved varying degrees of popular success. In 1938 he provided the screenplay for a filmed version of Pygmalion for which he received an Academy Award. He continued to write prolifically until shortly before his death, at age 94, having refused all state honours, including the Order of Merit in 1946. Since Shaw's death scholarly and critical opinion has varied about his works, but he has regularly been rated as second only to Shakespeare among British dramatists; analysts recognise his extensive influence on generations of English-language playwrights. 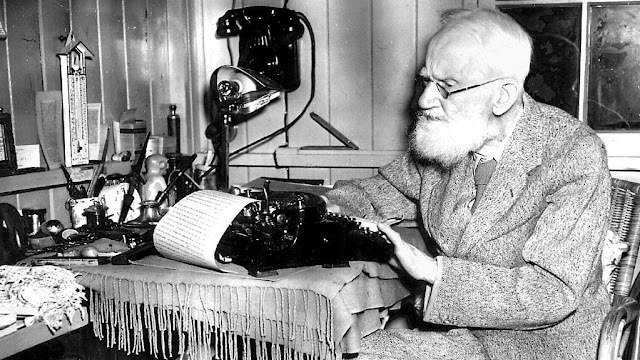 The word "Shavian" has entered the language as encapsulating Shaw's ideas and his means of expressing them.